Hello, and welcome to the world of Michael Burns and Stu Fink. HAPPY 2019 FROM MICHAEL AND STU! Keeping with tradition, here is our official calendar for 2019. Since we’re on more stations now, you can find your station below, and then print away. Keep track of the days, and remember to stay tuned for more Boston Country Oldies. 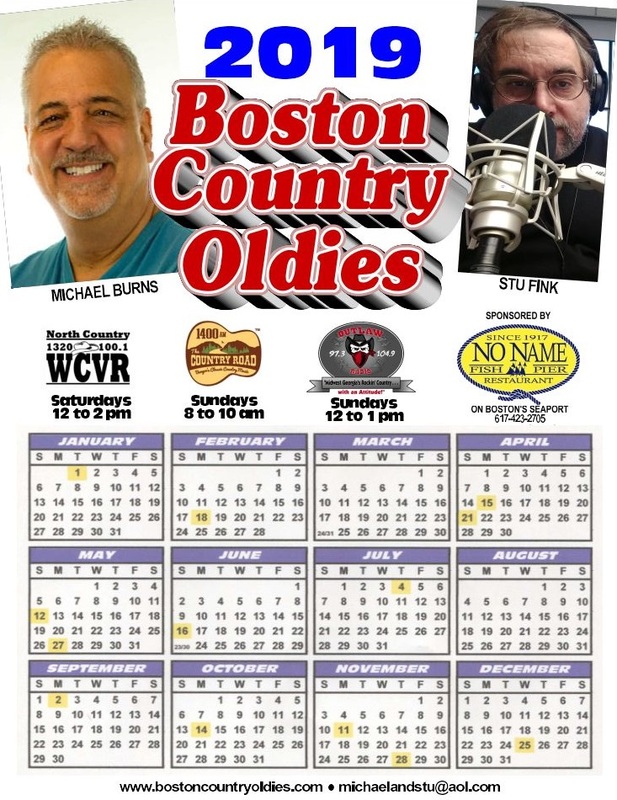 Boston Country Oldies 2019 Calendar for ME, VT, and GA! Legends 97.3 in Manchester, GA, is now Outlaw Radio 97.3 and 104.9. 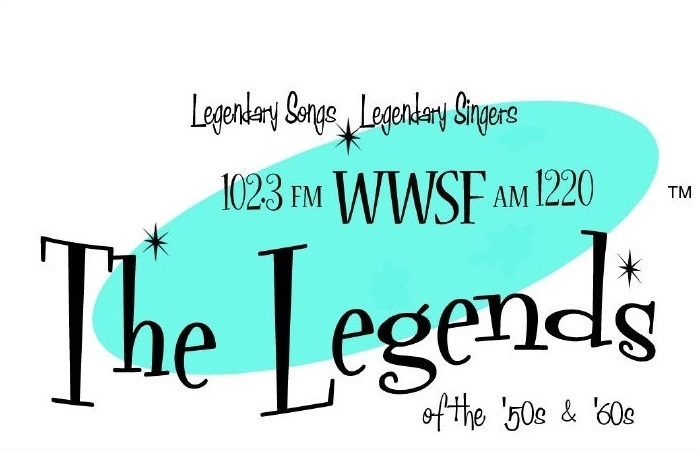 With the addition of their sister station, WBAF, Barnesville, at 1090-AM and 104.9-FM, Boston Country Oldies will now be heard from Pine Mountain to Griffin, and everywhere in between. That’s four Southern stations that can now listen to the show: 1090-AM, 1370-AM, 97.3-FM, and 104.9-FM! It’s a win-win scenario for Michael and Stu, the people of Mid-west Georgia, and for our friends Paul and Ronnie K at Ploener Radio Group. Of course, you can listen to Outlaw Radio 97.3 & 104.9, every Sunday at 12noon. BOSTON COUNTRY OLDIES IS NOW IN VERMONT! 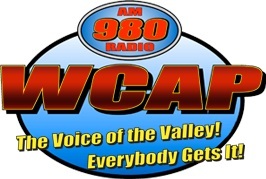 Our northern expansion continues as Michael and Stu are now heard on WCVR, North Country 1320 and 100.1 in Randolph, Vermont, every Saturday from 12noon to 2pm. We welcome our new friends and listeners there, and hope to be hearing from many of you soon. WCVR is Your Home For All Things Country, and makes great listening, anytime. Thanks go out to Rob Landry and Aaron Gonthier for fitting us into the station’s schedule. Give North Country a listen. You’ll be hooked like we are! BOSTON COUNTRY OLDIES HEADS TO BANGOR! 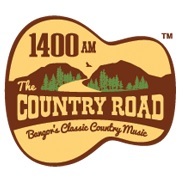 The latest Boston Country Oldies affiliate is WCYR, The Country Road, in Bangor, Maine. Listen to the show Sunday mornings from from 8-10am! And we’re on for two hours. Kudos go out to our friends Pete Falconi and Carl Strube of Port Broadcasting for believing in the power of both Michael and Stu, and great Country Oldies. Hearing is believing, and we think this is one of the greatest Classic Country stations anywhere. We know you’ll think so, too. 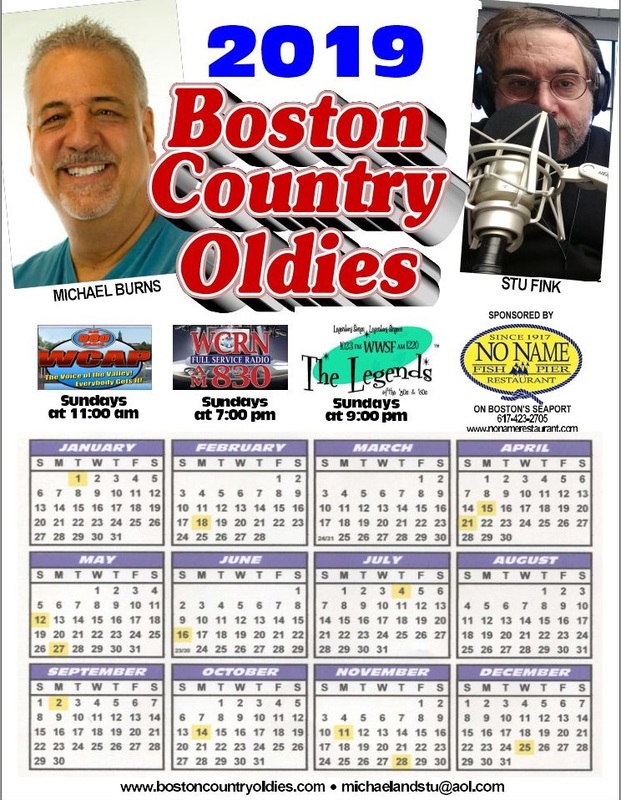 Here is the Boston Country Oldies calendar for 2018. This has been an annual tradition for us, and, this year is no exception. As always, it’s perfect for your office, refrigerator, birdcage, litter box, or whatever varied use you may have for it. They also make great gifts. Download yours here. 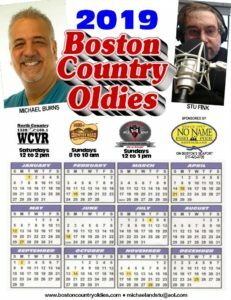 HEAR BOSTON COUNTRY OLDIES ON WCRN! 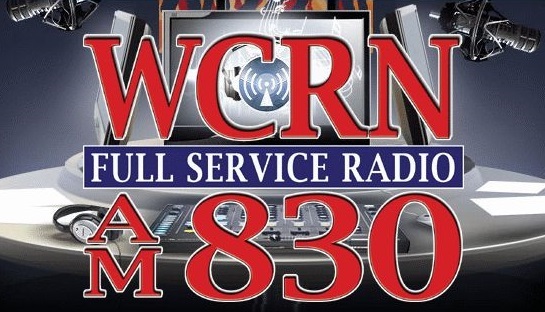 Hear Michael and Stu in Worcester on WCRN 830-AM, every Sunday night at 7pm. WCRN has long been Worcester’s top station, with an amazing 50,000 watt signal that blankets the region both day and night. 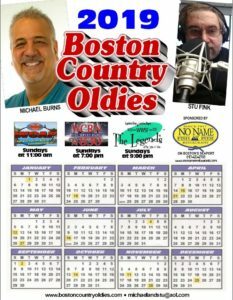 With great talk programming during the day, and now, great oldies seven nights a week, Boston Country Oldies kicks off the Sunday night lineup. We are thrilled that we can reach our many friends and fans in Metrowest, Western Massachusetts, and parts of Rhode Island and Connecticut, too. High praises go out to longtime friends Kenny, Kurt, and Jordan at WCRN. Listen To Boston Country Oldies on WCRN. REQUEST YOUR FAVORITE COUNTRY OLDIES ON OUR FACEBOOK PAGE! Now you can request your favorites on the official Boston Country Oldies Facebook page. If you don’t have Facebook, you can still e-mail in your requests, to MichaelandStu@aol.com. Either way, we hope to hear from you. Hear Boston Country Oldies on Sunday mornings at 11am on The Great 98, WCAP, Lowell. 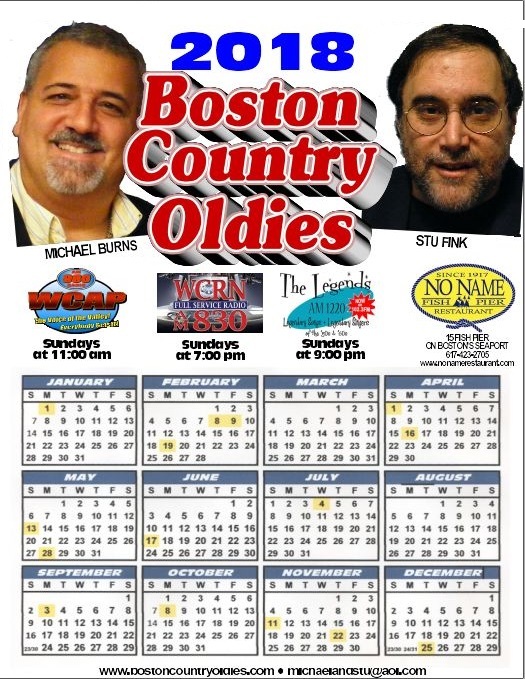 WCAP is the Merrimack Valley’s home for news, talk, sports, specialty programs, and…oldies. Our thanks go out to station chief Sam Poulten and his staff for keeping Michael and Stu on the air! Listen To Michael and Stu on WCAP…Everybody Gets It. Listen To Michael and Stu on WWSF. Missed a program? You can listen to recent shows here. To contact Michael and Stu, or to make a request, you can now email us at MichaelandStu@aol.com. 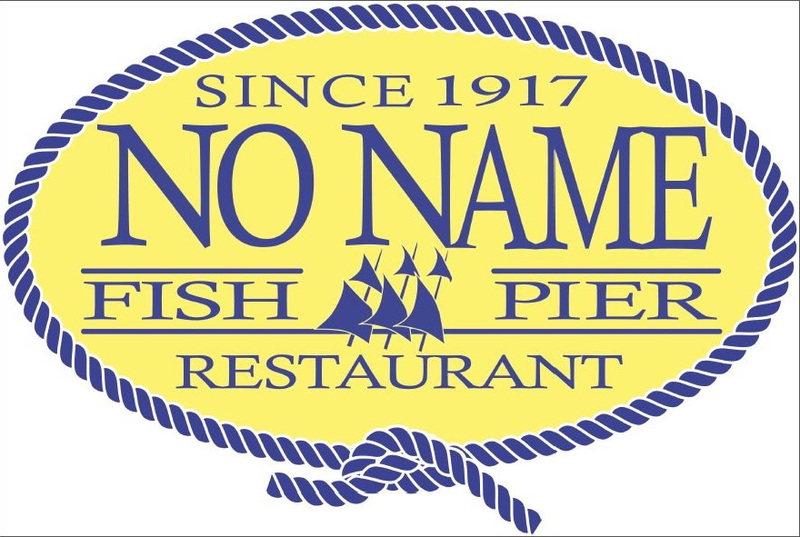 When in Boston, be sure to visit our friends at The No Name Restaurant, located at the historic Fish Pier in the Seaport district. The No Name features the freshest New England seafood in a friendly fish-shanty atmosphere. You can see their fine menu here. Not too long ago, the restaurant was featured on TV in promoting Neighborhood Health Plan. The commercial won a coveted Telly Award, making a bonafide star out of General Manager, Jimmy Klidaras. We hope we don’t lose him to Hollywood. Stop by the No Name and tell Jimmy how great he looks! Like Boston Country Oldies on Facebook!